Kallen fired back alleging Powell told people how to vote or filled out their ballots, and let people vote who were not on the voter registry. Since California voters approved the growing and use of recreational marijuana, discussions over cultivation proposals have dominated TAAG agendas. 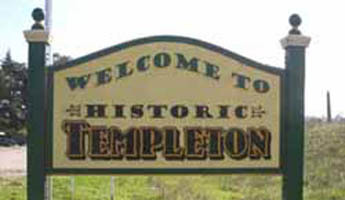 The board has a history of both approvals and denials of Templeton area cannabis grows. My, my…All the way from the White House and it’s opponents to TAAG, politics just becomes more and more something I just want to stay away from. Guess it was a good choice for me to not vote at that election. Who needs more drama in their life? I don’t recall the title but, there’s one person in charge of that precinct. That person should have warned him once to leave the property then simply asked the sheriff to come and remove him. Provisional ballots or envelopes or whatever don’t need different colors. We simply need people in charge to be in charge. The woman attempting to hand out literature should have been immediately bounced as well as anyone discussing, representing or intimating favor in any way toward any particular candidate, measure or proposition on the ballot. Melanie Blankenship? Really? There goes my support and shopping at Nature’s Touch. Perhaps since you imply that you know her, and frequent her business, you may consider having a dialogue with her. I doubt you were given enough information in this article to know what she supports or doesn’t support. You may find some of your most favorite establishments are run by people with differing political views from you. Shocking isn’t it? It becomes a small world when you close yourself off from it. You may find common ground with dialogue. At the very least you’d be better informed to make your decision to boycott her local business than you are right now.